Enjoy a cheeky little log cabin break with this great deal over at Groupon. For as little as just £129, you can enjoy a two or three night break in this beautiful log cabin for a relaxing break. For those who need of rejuvenation relaxation and the added choice of a bit of pampering. Stay at the Retreat cosy log cabin in the heart of the Suffolk countryside. 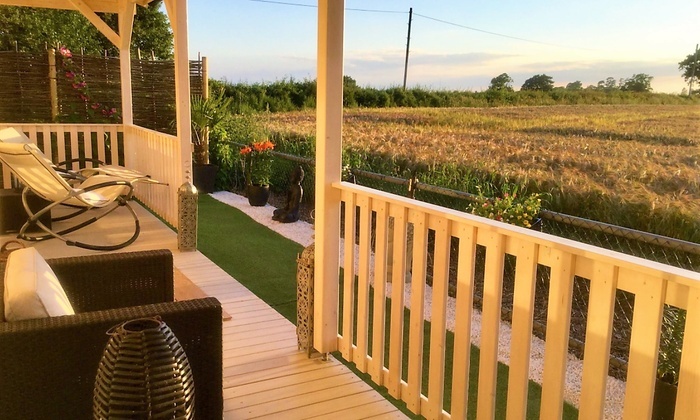 Wake up surrounded by stunning country views and the sound of the birds singing. 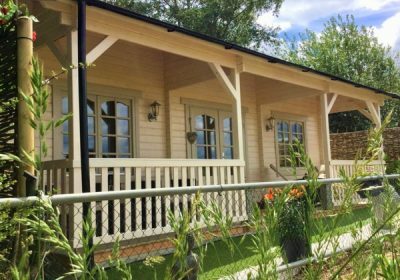 The cosy log cabins are situated just outside the quaint Suffolk village of Boxford and have a fully self-contained kitchen toilet shower room double king size bed and a cosy living area with flat screen TV, cosy fireplace and light airy windows to enjoy the stunning countryside views. 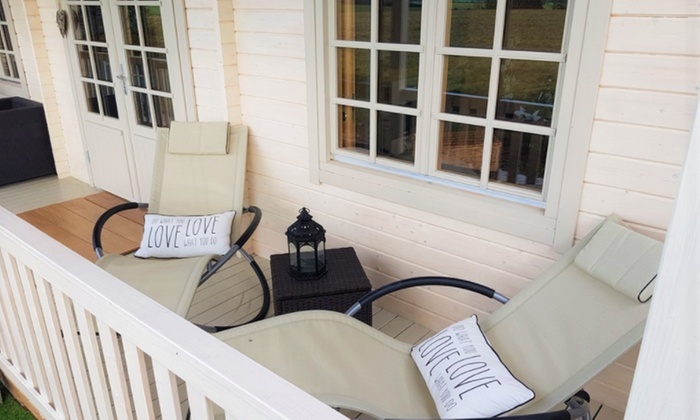 There is also a holistic therapy centre on-site where guests can combine a cosy romantic break with some pampering treatments if they choose to. Large windows boast panoramic views of the area which can also be admired from the verandas.